George Perez inked by Terry Austin! Doesn’t get much better than that! 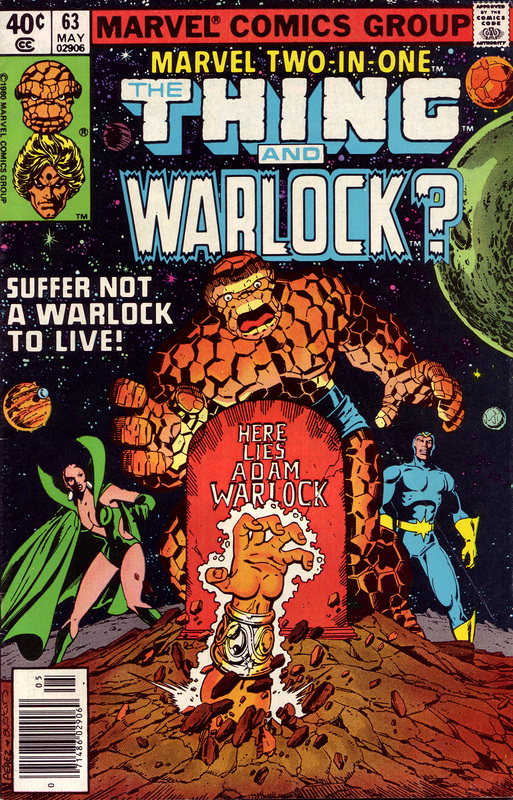 A powerful cover featuring the hand of Warlock popping out of his grave. Unforgettable. Definitely effective at grabbing attention.